The South Island of New Zealand is one of the world’s unspoilt wonders and Christchurch is a great starting point for your South Island adventure, making your way to Wellington in the North Island. On arrival at Christchurch International Airport, head across to the friendly GO Rentals team and pick up your lovely new hire car which will become your new best friend over the next 12 days as you explore some of the magnificence of the New Zealand’s South Island. Although your journey through the South Island is first going to head south towards Queenstown, it’s worth giving yourself a day to head up to Kaikoura. Although this is a 2.5 hour trip up north, we reckon it’s well worth the extra miles for an amazing opportunity to swim with dolphins or maybe sample some of the delights of the South Island’s world famous wines plus it’s a good chance to give your new GO Rentals car a run out and get used to each other. Kaikoura is also the place to go for swimming with dolphins so, if that’s always been on your bucket list, it’s time to tick it off. 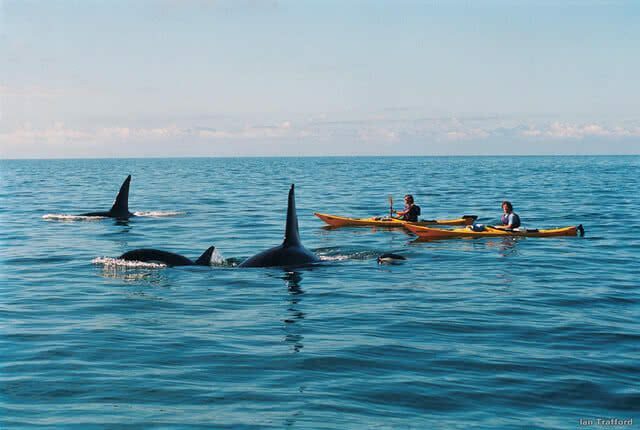 GO Play partner Encounter Kaikoura offers a brilliant opportunity to get in the waters of the south Pacific and swim with these amazing animals. Tours operate three times a day and hopefully your 12 day itinerary will allow you to stay over for the night so you can enjoy the wine without having to worry about a drive back to Christchurch. If you didn’t manage to squeeze in as much as you had hoped on your first day in Christchurch, there is a chance to revisit the city on your way south towards Lake Tekapo. The Antigua Boatsheds offer lots of ways to get active on the river as well as giving visitors and locals alike a great photo opportunity in the picturesque riverbank settings. For more ideas of what you can get up to in Christchurch, check out our Christchurch and around guide. After a few leisurely days in and around Christchurch it’s time to hit the road proper and get out to take in the sights of the lower South Island. Heading out of Christchurch, a stop off at Lyttelton is well worth the detour and it’s a great place to grab some breakfast if you’re out nice and early. Hit by the earthquakes, Lyttelton has now rebuilt and is a thriving village with lots of bars and cafes – there’s a great road over to Lyttelton which offers you some fantastic views looking down to the city and the harbour as well as down to the Southern Alps – a great way to start this road trip. A relatively short drive south (around 3.5 hours) will take you to Queenstown, the adventure capital of New Zealand, and some say the world. It won’t take you long to figure out why as your senses are bombarded with countless flyers showing you all the adrenaline fuelled activities available in this all-action city. If you can, ensure you spend at least a couple of days exploring the city and all its attractions. One of the coolest ones is the Luge, which combine some of the most stunning views you can get from Queenstown and its surroundings, with an injection of adrenaline. The Skyline Queenstown Luge is open from 10am daily, all year round. For more ideas of activities in and around Queenstown, check out our Queenstown and around guide. If you had an action packed first day in Queenstown, there’s still plenty to keep you occupied whether you stay around the city and just take in the sights and sounds or you decide to take the car out for some short trips. Unlike Bendigo, small Arrowtown is far from abandoned. The small historic village, a short 20-minute drive from Queenstown, is bursting with activity and includes a collection of beautiful old heritage buildings and miners’ cottages. The beauty of Arrowtown is that the heritage buildings are more than mere monuments of a time gone past – they’re still used for commerce and you get to experience life before modern days. An early wakeup call awaits if you’re keen to get out and explore one of the glaciers on day 7 of your road trip so make sure you set your alarm early. There are so many ways to explore the glaciers whether on foot on a self-guided tour to the base of the glacier or for the more adventurous (and affluent!) a heli-hike to the very top of the glacier – there is something to suit everyone and give you a chance to explore this wonderful landscape. Exploring the glaciers is sure to be one of the highlights of your trip to the South Island no matter how you choose to explore the ice. Franz Josef and Fox offer similar but at the same time different experiences. Some say that the ice up on the Franz is a better place to explore, however it can be a bit of a trek to get there and is not for the feint hearted. The Fox Glacier on the other hand takes less time to get to the ice itself and is equally as impressive. The bottom line is, you get crampons and an ice axe when you go to explore any of the glaciers and that makes for an awesome photo of you, the intrepid explorer! Make sure you prepare in advance and book your place on the Interlislander ferry about a week in advance, ensuring you give yourself plenty of time to enjoy your last day on the South Island booking late on day 10 or first thing on day 11 of your trip.